White level course in the lower part of a multi-use park right on the St. Joseph River. This course forces accuracy and shot variety with tight fairways, some low ceilings, elevation, and some big bomb holes. I-94; exit 27. Turn towards town. Turn onto the street between the Sonic and Gas Station. At the stop sign, turn left and follow road around to the bottom of the park. 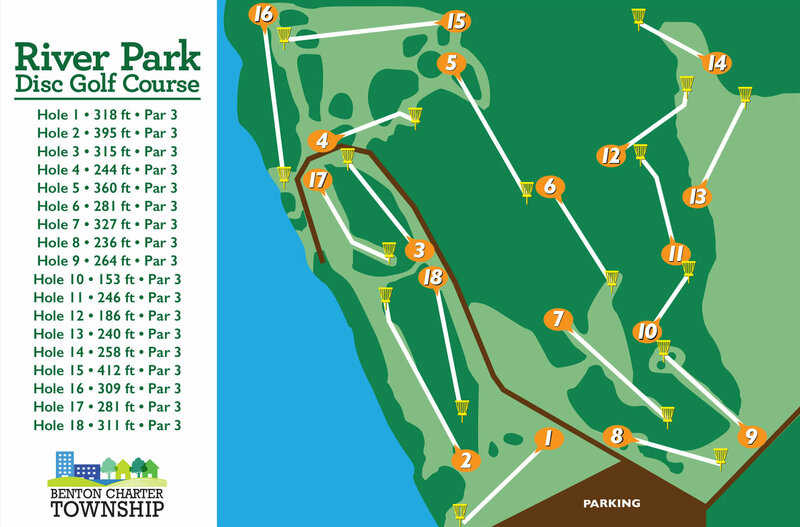 Have you played at River Park Disc Golf Course? Be the first person to review this course!